UP Special Soan Papdi, also known as Soan Papri or Patisa, is flaky Indian dessert made with besan, flour, ghee, sugar. It is flavored with cardamom and rose water and garnished with toasted pistachio and almond. This Soan Papdi is not completely dry as usual. 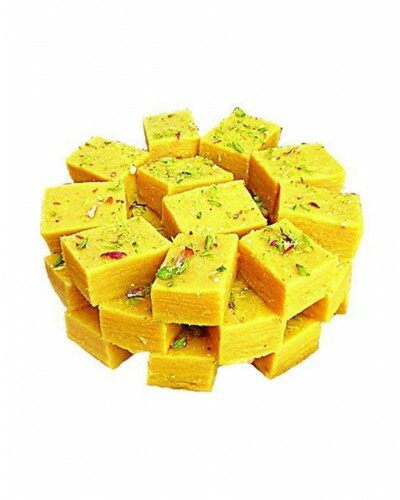 Soan Papdi is a delectable Indian sweet which can be eaten during any occasion. This sweet is famous in South Asian countries like Bangladesh, India, Pakistan and Nepal. It is often square shaped and has a crisp and a flaky kind of texture. It is often sold in streets. It is originated from a town known as Najibabad in the state of Uttar Pradesh. It is everyone’s favourite sweet and no one can miss eating it if you have a sweet tooth! It is also the favourite sweet of children because of its exotic crispness. It is regarded as an all-purpose tasty sweet that is meant for any occasion or event.